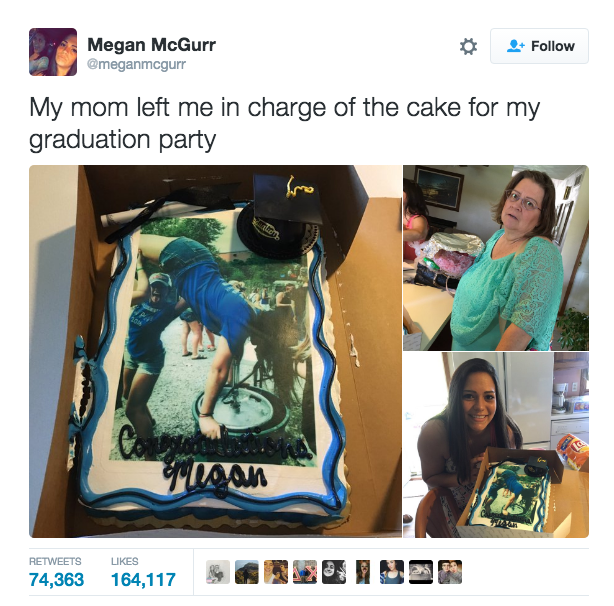 Megan McGurr was thrown a graduation party, and her mum left her in charge of the cake. 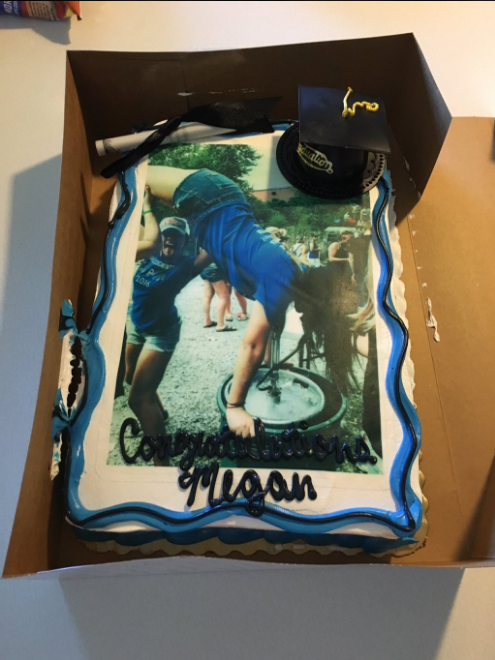 She decided, of course, to put a photo of herself on the cake - doing a handstand and necking a keg whilst upside-down. The 22-year-old nursing graduate from Memphis, Tennessee looked pretty damn pleased with her design, which stood out a lot from the traditional "wearing a graduation robe" photo. But then the cake had to pass another test. The mum test. 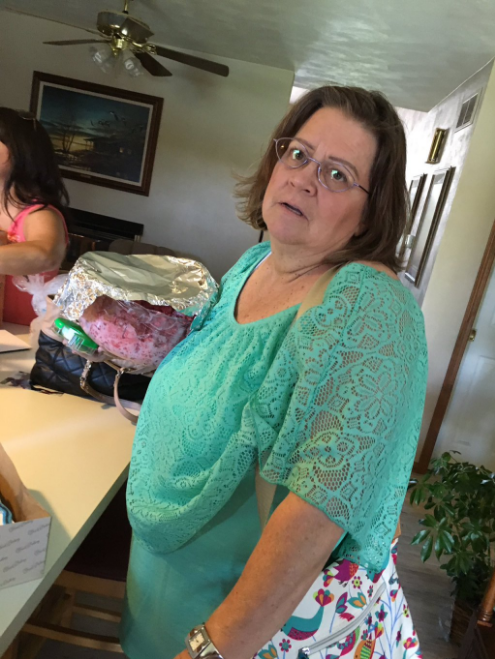 Nervously, she took the cake to show her mum, and capture her reaction to the cake. Most people online agreed that her mum was clearly very impressed with the design. Although a few thought maybe she wasn't so pleased. Megan told BuzzFeed that her mum wasn't that impressed, but her dad liked it at least. 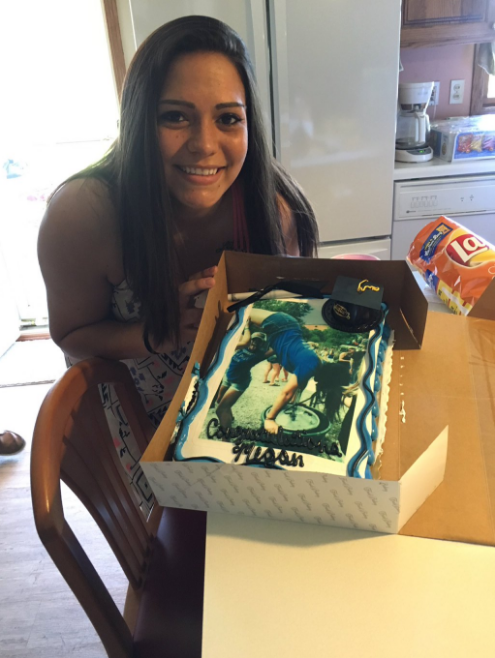 "Mum's reaction was angry at first, but then after my family started to see it, she loosened up because they all thought it was funny," she said. Online reaction has been better than her mum's, with over 74,000 people liking the photo set. ... even if her mum no-longer does.